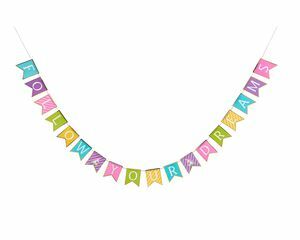 Decorate your party space with a banner that heralds guests to ‘Follow Your Dreams’! 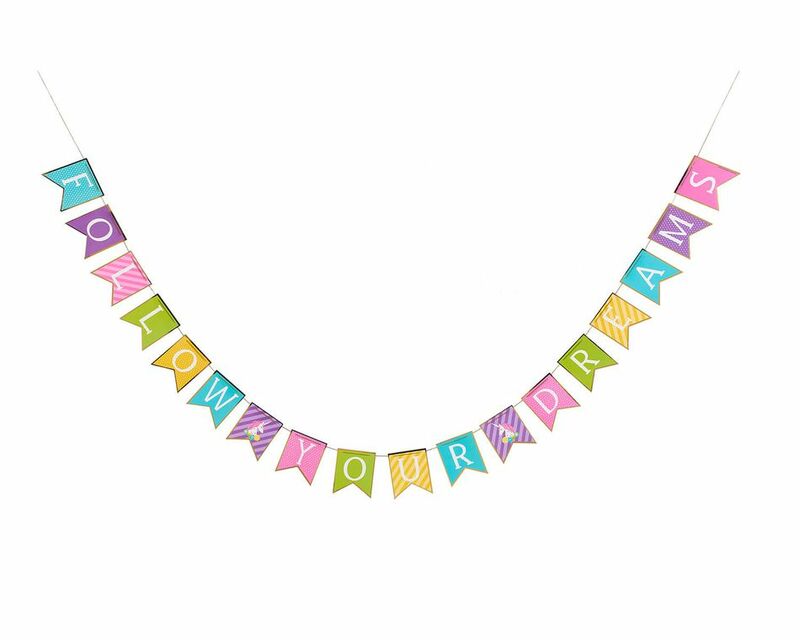 This bright and festive burgee banner is made of sturdy, reusable paper embellished with shimmering gold foil and gold metallic cords for easy hanging. 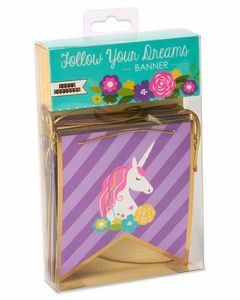 Magical hanging décor measures 8 feet long with colorful lettered pieces and beautiful unicorn designs with purple stripes. Makes a beautiful birthday party decoration! Display the party garland outside to call attention to the big event or inside to create instant party décor. Coordinate with our unicorn-themed party decorations for a party setting that's legendary!